Fast Keys is one of the largest key cutting stores in the country. They wanted to build their online presence and increase sales. To do this, they needed a dramatic increase in local traffic to their site, which would in turn lead to a larger amount of customers entering their front doors. In Bulldog, they found a digital marketing agency that would provide a comprehensive digital marketing strategy that would specifically target volumes of traffic for their essential ‘car keys’ and ‘key cutting’ pages. The market was fairly competitive with rival brands already ranking for many vital keywords. Our team has a wealth of experience in such circumstances so we knew we had more than the expertise needed to deliver some serious results. With paid advertising and a solid link building campaign we would drive the most valuable target traffic to Fast Keys website. After a comprehensive evaluation of the market, we derived that the best way to approach the situation was through paid ads, organic search, link building, social ads and onsite content changes. Their website was not ranking for many of the most important keywords, so this is a problem we set out to correct right away. Paid ads and social retargeting provided incredible boosts in relevant traffic, while also building the brand's reputation as the most favourable local key cutting service. We created a series of catchy and informative infographics to gain outreach and a means to build valuable links. 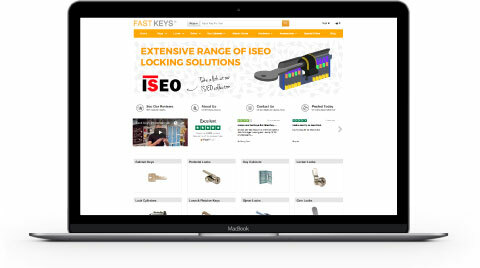 We also created a PPC campaign that was specially designed to effectively target customers ready to act and divert them to the Fast Keys ‘car keys’ and ‘key cutting’ pages. To handle this influx of potential customers, we also optimised these pages to improve their ability to convert visitors into buyers. We identified that local listings would be a huge asset for Fast Keys to take advantage of. These ads would be shown to people looking for key cutting services in the local area right now.